Background Aquaculture Information Supplied: This Fish Disease Outbreak Example is based on an exotic species to Southern Australia. This species is cultured in a high intensity fully enclosed recirculating system.This type of fish farm construction is typical in commercial fish farming for exotic species of high aquaculture value where sustainable environmental control can be obtained. Assumption: The example species of fish is not known but is exotic to Victoria. Therefore it is reasonable to assume that it is a warm water or tropical species. The assumption would further confirm the need for culture in a controlled, recirculating system environment as apposed to fish cage culture or fish pond culture. However the epizootic ('single disease outbreak in a cohort',, 'of the nature of a disease which attacks many animals at the same time') of anorexia and reduced growth are confusing, as they are more likely to result from fish pond or fish cage culture situations where observation is less of a management tool and where the feeding method is likely to be automatic. The anorexia and reduced growth would tend to indicate a chronic condition has existed for some time however it would appear that there has been no obvious clinical signs. Anorexia can also be called malnutrition (Roberts 1974) and was known to aquaculture back in the early 70’s. Aquaculturists working with salmonids were aware of the significance of nutritionally incomplete diets. Roberts discusses wasting and reduced conversions with internal changes particularly in the liver. However anorexia and reduced growth are factors, which also tend to indicate a potential pathogen or stress factor in the culture system. In a well managed intensive type of culture system any suspicion of even potential stress factors should be sufficient to begin checking and re-checking the culture parameters. The importance of identifying a pre-curser, to this Fish Disease Outbreak Example, or epizootic event, is significant because, once the situation is under control there may be nothing to prevent another outbreak again. For example, temperature fluctuations caused by mechanical breakdowns can quickly stress fish, which can result in bacterial problems some time later. If an event does occur there may be appropriate steps that can reduce the potential following a pre-curser event. As this Fish Disease Outbreak Example has progressed to a high mortality stage some presumptive action needs to be instigated immediately. From analysis of the initial symptoms it appears, potentially, to be bacterial or environmental in nature as a viral infection would have tendered to be pre-acute. At this stage a DNA probe would be very handy as time is critical to controlling pathogens and an instant identification of a viral particle or a specific bacterium would be of significant benefit. • Quarantine the site or system particularly where the business operates a number of systems on the one site. Ensure all staff members are aware of non-contamination procedures for the other systems (if there are any other systems). 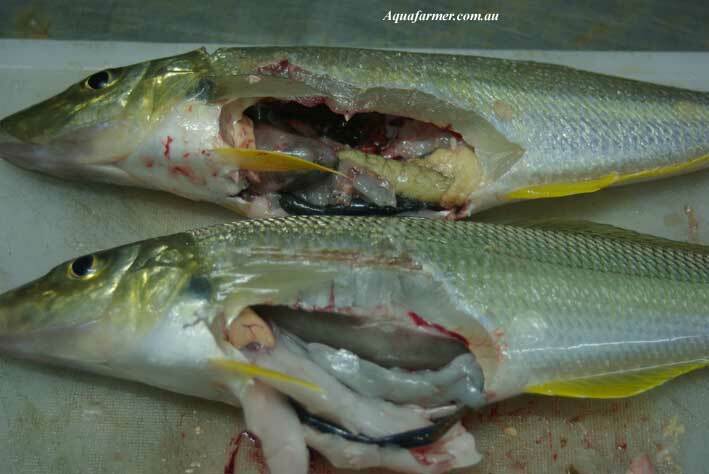 • Organise for continual removal of dead fish from the system to prevent any further build up of biological loading. • Insure that the system had sufficient UV filtration operating to destroy bacterial particles circulating in the system. • Prepare for post mortem. A post mortem needs to be carried out immediately. As well, attempts need to be made to reduce further losses in the system. The following measures are known to slow down biological processes and reduce stress. • B) If the system were saltwater add freshwater to reduce the salinity by 5-6 ppt over the same period. • C) If the system were freshwater increase the salt concentration to 2-3 ppt once the temperature had been reduced by the water exchange. It is known that many species such as Bidyanus bidyanus (Australian Silver Perch) do well in waters containing salt and it is well known in the aquarium trade that one of the best prophylactic health measures for freshwater fish is the addition of salt. • D) Add clove oil, as a very mild sedative, at 30% of the transport dose for this species. Top up clove oil as determined by calculation of water exchange rate requirements. • E) Have the feed examined and sent off for an independent analysis. The post mortem examination should be a regular event for a recirculating system and as such there should be a wet lab available and sufficiently stocked for this purpose. The aquaculture wet should operate two dissecting microscopes and one high quality oil emersion microscope and a centrifuge. All microscopes in such a lab should have attachments for video link to an over-head screen and a recording unit. The lab should also contain test staining kits and nutrient agar plates as well as a small culture room for the purpose of culturing and identifying bacteria. If a virus were suspected the samples would be chilled to approximately 70 degrees C using dry ice and shipped off to a suitable lab for tissue culture and identification and or the lab would have gene probe technology. The lab should have on-line graphical displays of water quality parameters updated every 10 minutes from system electrodes and every 3 hours from staff recording results. A post mortem is carried out on fish that appear to be suffering or functioning in an unusual way. Post mortem on an already dead fish is avoided unless it is apparent the animal has just died. Care is taken to humanly kill the specimen and the post mortem is carried out immediately. Frerichs (1984) suggests MS222 at 1:1000 or benzocaine at 0.2g/8 litres will humanely sacrifice specimens within 5-10 minutes. Clove oil is also effective for terminal sedation, however concentrations vary significantly for different species. The dissection procedure is outline in Frerichs (1984), Roberts (1989) and extensively by Stoskopf (1993). The normal procedure is to firstly externally examine the external surface for visual indications and take squash mount scrapings from various parts of the specimen. The body is opened in a set fashion with observations noted and samples taken as described in Roberts, Frerichs and Stoskopf. Further to the methodology of the post mortem it would be prudent to examine approximately 10 specimens and do the complete analysis and dissection on each. However if I were still unsure of the results I would examine further specimens as some pathogens like Chilodonella can be quite small (25um) and easily overlooked on a squash mount. For example, the size of Chilodonella is referenced as being as larger organism, (Roberts 1974) similar to Trichodina but pathogens found on farmed sliver perch fingerlings Bidyanus bidyanus in the late 80’s were much smaller and overlooked until oil emersion magnification was used. Results similar to that discussed by Langdon (1985) and described by Ashburner (1978) were then obtained. I believe it is an important factor to document each process and finding particularly in the first few years of operation of a system or individual farm. From my own personal experience there does tend to be site-specific relationships with epizootic and environmental factors that can actually be allowed for or prepared for during normal seasonal operations, particularly in pond culture. 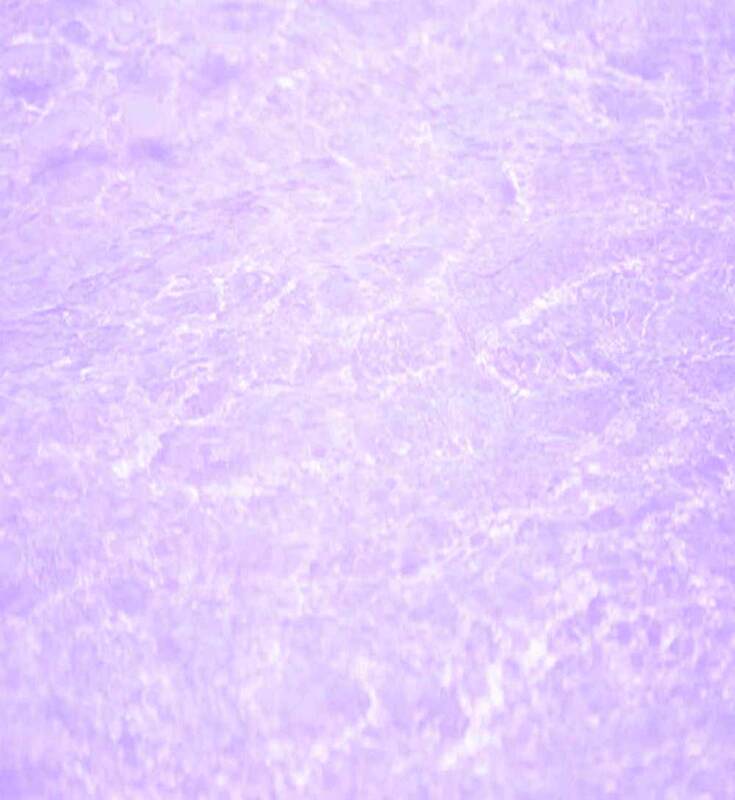 Cameras offer an efficient resource and reference, as does video footage for documentation and reference of the histological examinations and reports. “Normal physiological processes are affected long before the death of an organism and because death is too extreme a criterion for determining whether a substance is lethal or not, scientists had to search for physiological and biochemical indicators of health and sublethal toxicant effects. It was therefore suggested that haematology, behaviour and biochemical changes, growth rate and oxygen consumption of fish can also be used in determining the toxicity of a pollutant during chronic toxicity tests” (Vuren & Nussey). “The haematocrit is the volume percentage of the red blood cells in blood and is determined in the haematology department. The centrifuge is usually small and may hold up to 50 samples in tiny pipettes mounted radially symmetrical on a high-speed rotating disc. The cells and the plasma, having different density, are separated by the centrifuging process. The haematocrit is determined after centrifuging by measuring the relative lengths of the red (cell) and yellow (plasma) sections of the tubes". The above quotes refer to haematocrit examination as a good presumptive indicator of an existing non-specific problem “sub lethal stressor” within the culture medium. The measure of haematocrit is potentially an excellent farm tool as a biological indicator of well-being as well as an indicator of stress in situations that may otherwise not be observed until the epizootic has reached the mortality stage. Fatty Liver is an indication generally representative of a nutritional problem. Fatty liver is potentially caused from an imbalance in feed nutrients and can indicate a deficiency in the essential fatty acids (EFAs). Aside from the fatty liver "disease," fatty acid deficiencies in fishes have been shown to result in reduced growth, higher percentages of muscle tissue water, liver degeneration, higher susceptibility to bacterial infection, and a decrease of hemoglobin in the blood cells among other nutritional problems (such as hair loss in mammals). “Those organs that play a key part in metabolic processes, such as the liver, may degenerate as a result of adiposis (fatty dystrophy of the liver), and so provoke the death of the animal as: a toxic accumulation of non saturated fatty acids takes place in the liver, followed by nephritis (kidney disease) and hepatic degeneration. Livers having pathological fatty degeneration show a brownish-yellow colour, which indicates necrosis of the hepatic cells (Amlacher 1970). The post mortem is significant in what was not found. That is to say there were no indications of bacterial infection in the gut nor were there any indications of internal lesions or indications of gut problems apart from the fatty liver. Externally, it is very likely, there were potential problem signs and indications that had been overlooked. This factor needs management discussion. However these symptoms combined, strongly indicate a nutritional deficiency in essential fatty acids rather than an actual or chronic pathogen. Discuss the situation with the feed producer. Ask that he refer to his records for a situation that may account for the possibility that the feed is incorrect and send him a sample for his own analysis. Discuss the situation with other farms using the same brand of feed. What are their culture results? Are they experiencing unexplained growth reductions? Get a different brand of feed organised quickly. It is a difficult situation, as the fish may not feed on a new diet. Continue with the presumptive measures, in the recirculating system, to reduce stress as mentioned above. But stop the clove oil after 24 hours. And assess the feeding response over the next 24 hours on a proven diet. And if there is a positive change begin to increase the operating temperature at approximately 1 degree per day. Instigate a feed screening process. Either on site or from an independent analysis company so that, long-term, the feed quality can be confirmed for each batch supplied. As well, there needs to be some checking to `ascertain whether the feed was subject to any conditions that could have caused spoilage. Examine the survival and discuss with management whether to terminate the remaining percentage culture and begin a new batch. Assess the potential biological damage. Can the survivors still perform to commercial growth requirements? Has there been any permanent physiological damage? Is this batch still profitable? 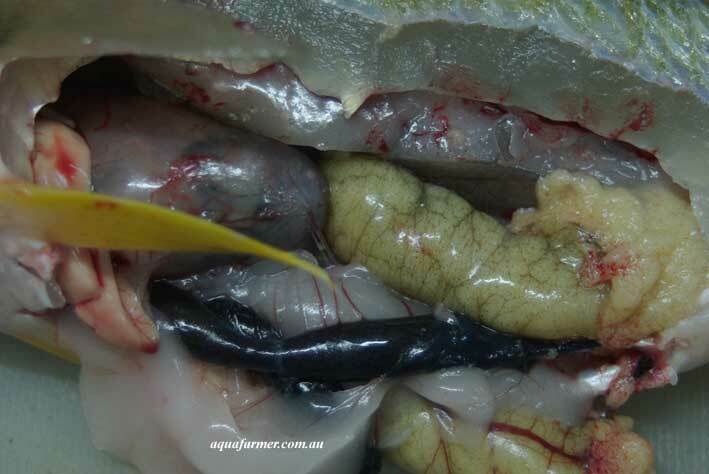 Re-examine the procedures of feeding and of PER and FCR determination as this type of disease situation, in a recirculating system, is, potentially, identifiable in there early stages. Are the correct procedures in place? It is highly likely that the causative agent is a deficiency in the essential fatty acids and or excessive saturated fats in the diet. However confirmation of the components and their percentages still requires validation. In either situation the disease strongly appears to be, an apparent nutritional deficiency rather than an actual pathogen. The fish were severely stressed with high mortality. The darkening of the skin and the loss of weight were sufficient signs to warrant earlier investigation which was never done. This point may actually be the a major factor in the mortality. The event and resultant mortality would tend to indicate that a management problem existed in that the disease was not identified earlier and steps need to be taken into why the “precursor” event was overlooked if indeed it was. As the staff, in this situation, would now be very aware of the clinical signs and results they would now have a greater understanding of the requirement of observation and the value of awareness of subtle behavioural changes. However, in every respect, the situation of a high mortality event is the unfortunate reality for the aquaculturist. Such an event will eventually happen. The sustainable success of the project is very much a factor of the attitude of the team and regular meetings assist in dealing with the every day situations and interactions as well as the emotional problems, sometimes felt but not often discussed, resulting from situations where high mortality has occurred. Some people are affected and to some it doesn't matter and to others there is the emotional stress from the financial burden crop failure and mortality creates. Reinerstsen and Haaland (1995 Hastein, T.) mention that disease control is essential for economic reasons, for efficient resource usage and also significant for welfare reasons. They talk of disease invariably indicating a poorly balanced production system but also discuss the essential need for treatment and manipulative control from time to time. They further discuss the wider issues of disease management and the implications for wild stocks from effluent waters and the potential for disease transfer from farm to farm. They discuss the Norwegian salmon industry and the introduction of the highly invasive primary pathogen responsible for furunculosis and the aquacultural pathway, which led to disease transfer to wild stocks as an example of the need for disease control measures. The further example of Humphrey and Ashburner (1993) of the spread of the same pathogen once introduced into Australia also underpins the need for vigilance with disease management and for constant and conscious application of relevant quarantine procedures. In a total environment system the quality of the feed is essential (Shariff 1989). Any culture system needs procedures where by the diet is routinely, and independently, monitored for its qualitative and quantitative nutritional aspects. It would have to be a commercial imperative. Amlacher, E. 1970, ‘Textbook of Fish Diseases’. Trans. by Conroy, D. A. & Herman, R. L. TFH Publication. Ashburner, L. D. 1978 ‘Management and Disease of hatchery fish’, in Proceedings No. 36:Fauna –Part B’, Refresher Course for Veterinarians. 6-10 Feb., Taronga Zoo Sydney. Post Graduate Committee in Veterinary Science, pp. 417-21. Frerichs, G. N. 1984, ‘Examination of fish’, in The Isolation and Identification of Fish Bacterial Pathogens, Institute of Aquaculture, University of Sterling, Scotland, ch. 3. Humphrey, J. D. & Ashburner, L. D. 1993,’Spread of the bacterial fish pathogen Aeromonas salmonicida after importation of infected goldfish, Carassius auratus, into Australia’, Australian Veterinary Journal, Vol. 70 no. 12, pp.453-4. Langdon, J. S. et al 1985, ‘Deaths in Australian freshwater fishes associated with Chilodonella hexasticha infection’, Australian Veterinary Journal, Vol. 62 no. 12 pp.409-13. Reinersten, H. & Haaland, H. (editors) 1995,’Sustainable Fish Farming’ ISBN 90 5410 567 4. A. A. Balkema Pub. Roberts, R. J. (ed) 1889, ‘Parasitology’, in Fish Pathology, 2nd Edition Ballie’re Tindall, London, pp. 391-2. Stoskopf, M. K. 1993. ‘Fish Medicine’, ISBN 0 7216 2629 7. Shariff, M. 1989, ‘Some basic concepts on fish disease for nutritionists’, in fish Nutrition Research inAsia, Proceedings of the Third Asion Fish NutritionNetwork Meeting, ed S. S. De Silva, Asian Fisheries Society Special Publication No 4, Manilla, pp. 101-11. Shariff, M. 1987, ‘Current status of programs for fish health certification and quarantine systems-a sumary’ in Fish Quarantine and Fish Diseases in South and Southeast Asia: 1986 Update, ed J. R. Arther, Asian Fisheries Society Special Publication No 1, Manilla. Pp. 48-51. Vuren, J. H. J. & Nussey. ‘ASSESSMENT OF STRESS IN FISH AND RIVER MANAGEMENT’. Department of Zoology, Rand Afrikaans University, PO Box 524, Auckland Park, 2006 (no date shown).